Hong Kong’s live music scene survives courtesy of the people who go out their way to keep it alive. It’s an often thankless task that no one gets into for any kind of significant financial gain. That’s exactly what makes it so special – these individuals really care. And this is what makes The Gig Week such a huge deal: it’s a clear labour of love, the epitome of a grassroots local event. The line up is stellar and 100 percent local, the venues are well thought-out and there’s no shortage of enthusiam and passion in its curation. So what is it? 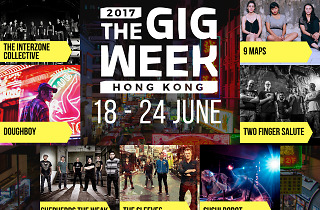 Put simply – and expanding on the fairly self explanatory name – The Gig Week is seven nights of gigs in seven venues covering a different genre on six of the nights (acoustic, hip-hop, punk, metal, dance rock and live electro) following a showcase event on the opening night. To kick off our series of features covering each night and genre, we sat down with organiser Elaine Ip to talk about the event and what exactly we can expect. Hello Elaine! Tell us how you’re involved with The Gig Week. I’m one of the organisers. We’re working hard to bring you a great selection of music by none other than the great people of Hong Kong! 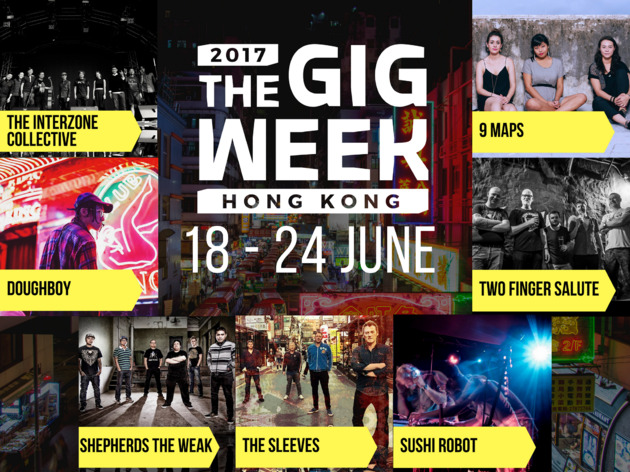 The event is a seven-day music event made to let Hongkongers discover and celebrate the amazing things Hong Kong artists are working on. What’re your thoughts on the live scene at the moment? It’s great but it’s segregated. There is so much happening but all in its own pocket of Hong Kong. We thought it might be interesting to see if there was some space to cross over. We hope that having a diverse set of styles and a higher concentration of performances over a single week will help bring a larger audience to deserving musicians and a sense of unity to the music scene here, which is sometimes missing. How difficult is it to progress in the scene here? What can be done to improve it? Being able to perform live somewhere is actually not incredibly difficult, but to make a living off of music full-time, if you’re not a [Canto] pop star, is much, much more difficult. You can tell people love the music they produce, though, since they’re putting in time and energy to keep the scene active! This for us is a sign that there’s a real pool of musical interest and talent in this city that can still be tapped into. It’s about getting up and going to performances! Don’t be scared to see a show just because the band doesn’t have thousands of followers. They might put on your next favourite gig! Any tips for anyone looking to get involved in the scene, start a band, organise a gig, etc? I don’t want to be sued by Nike but just do it! You won’t know where you stand until you start trying. Don’t be scared to fail, but be smart about it. Luckily though, this city is full of people who are ready to support a budding musician or a new event. It’s all about giving the scene something it needs – whether that’s great music or a platform to discover great music. We’re super excited to bring this week to Hong Kong and we see it as just a start. Follow us to keep discovering the music that this great city has right right at home and then come celebrate it with us! See Hong Kong differently, see Hong Kong musically.